What is your writing mindset? I began to focus on my mind-set as part of living with PTSD and anxiety. I discovered the power of language and the effect it had on my brain. Your brain is a machine and it is programmed by what it receives. So by giving it positive stimuli it tells the body things are going well, your energy levels rise, you feel good etc. But if you are feeding your brain (and also your body) negative stimuli then the results will not be as good. This was truly an eye opener for me! It got me thinking – do writers have mindsets? Honestly – I don’t know. But today I am flipping the script and changing that. 1. What do I see myself accomplishing with my writing? 2. Where will my writing take me? As you answer each of these questions, stick images that reinforce your answers onto your vision board. Your brain will see these images on a daily basis because your board will be in front of you and soon your brain will aim to achieve the goals. Because your brain (a machine, remember?) will reprogram itself with the END RESULT – your OUTCOMES!! It will start to find ways to get you there quickly. 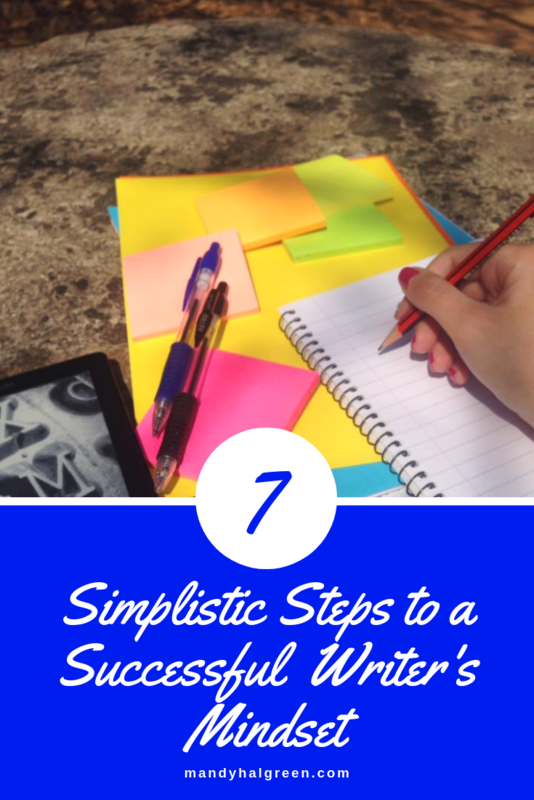 It’s all about creating a mindset focused on writing. Now, this is where you can become lost down a rabbit hole – please avoid that! Once you are on Pinterest, create a new board and make it secret (it is for you only!). Using the questions outlined above fill your board with relevant images. Some people like to screenshot their board and use it as a screen-saver so they see it often. It can be used on your phone as well in the same role. Again this shows your brain what you want and your brain will work to get you there! Make your writing a priority – inform friends and family of your intention to write (whether it be a blog/short story/full-length novel), so that they understand your need to have a quiet environment, avoiding outings, mood swings and other feeling and experiences that writers go through. It is important that YOU commit to this and show others you will not tolerate disturbances and that you BELIEVE in your writing. When they see this they will take it seriously too. • New things to try e.g. podcasts, vlogs etc. What are we doing all this for? Glad you asked, friend! To get it out! Sometimes we become obsessed with our To-Do list, we sit and religiously fill it out but instead of feeling accomplished and proud, what do you feel? Yes, but I have a To-Do list. I know I did too until I changed my thinking. I learned to look at the bigger picture – OUTCOMES! So now, write it all down! 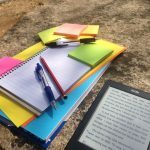 Step back – leave that list/page alone for a set amount of time (longer than 3 hours as your brain needs time to process and you may find yourself writing more items down too!). Do a task that is completely unrelated to writing. 1. Which outcome do I want to accomplish first? 2. Which outcome do I want to do last? 3. Which outcome means the most to me? 4. Which outcome will take the most time? Answer these questions and you will (possibly) have ranked your outcomes. Do not focus on the tasks, focus on the outcome! What matters most is the outcome! DO!! Just go and DO! Focus on your goals and they will become reality. Need some help with an outcome? Want to chat to me (yay, I’m excited already!) click here and soon we shall be striving to get you to your result. Do you want to work 1:1 with me? 1. Write your first draft? 2. Write your first draft and have it edited by me? 3. Have your manuscript evaluated by me? 4. Get you manuscript ready for publication? 5. Write your first draft, have it evaluated, several edits and get it ready for publication? Tell me how you are creating your writer’s mindset in our Facebook Group! How to Set Up your E-book for Success! 5 Questions to Ask to Get Inspired Ideas!